Ignore depth of field concerns for 95%+ of surveillance applications, despite what you hear. While this is a common consideration in digital photography, its goals and logistics differ. In this note, we explain the drivers, why it is generally not a surveillance concern and the exceptional application where it is plus what can be done. However, in surveillance, it is the opposite. One almost always want a very wide depth of field so that you do not lose details that might prove important for later investigations. Notice at 3 foot, depth of field is poor but at 9 foot, it is much better. 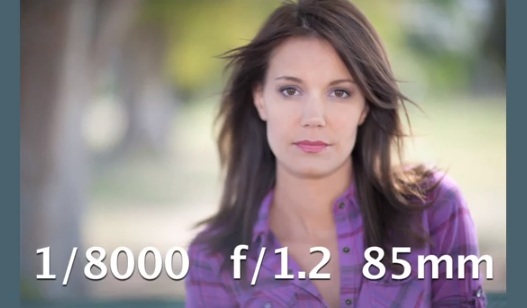 Because of this, shallow depth of field is simply not a common field problem. Trying to deepen the FoV in these conditions will do little to no good but can cause big problems in low light. Depth of Field size can be calculated mathematically. Here is a nice Depth of Field calculator we recommend. The most common, though still infrequent exception, is when a surveillance camera uses a long lens to observe far from the camera. Below is an example looking down a 200 foot hallway. To eliminate the shallow depth of field above, increase the F-stop to reduce the iris opening. Use a manual iris lens to close down the iris and keep it fixed there. 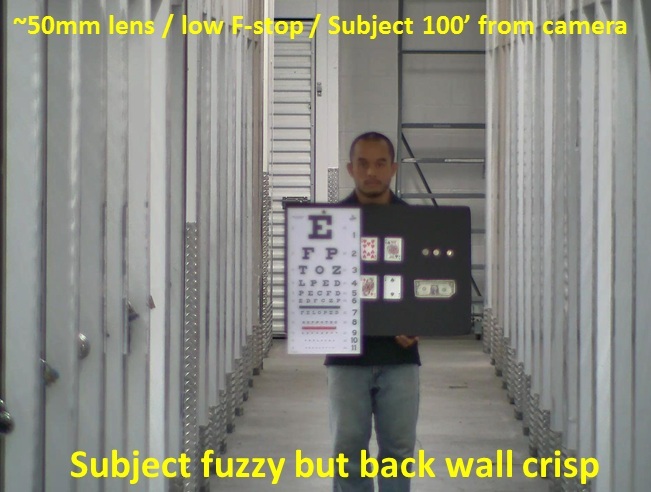 An auto iris lens may automatically adjust the iris opening creating depth of field problems. Ensure that you have lots of light 24/7 or whenever you want images. Closing down the iris will create terrible image quality with even moderate low light. All in all, do not worry about depth of field but if you have a rare case where it is an issue, think carefully about the tradeoffs and issues involved.